Jean Lemue Attorneys is a law firm based in the CBD of Port Elizabeth, South Africa. The firm is situated close the New Law Court Building Complex in North End Port Elizabeth. 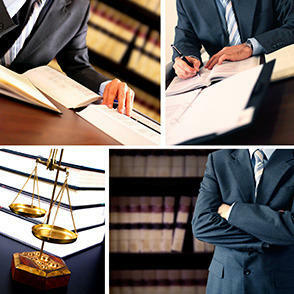 We strive to provide clients with professional, quality and efficient legal services. We are a client focused law firm carrying on a general legal practice in many fields of law providing legal advice and services to numerous organizations, businesses as well as individuals. Jean Lemue studied at the University of Port Elizabeth (now NMMU) and graduated with a B.Proc degree in 1991. He did his articles at G.P. Van Rhyn Minnaar & Co. Attorneys in Uitenhage, where he practiced as an associate attorney till 2000. In 2001 he established his own private practice in the name and style of Jean Lemue Attorneys and has since been practicing law for his own account as such to the present day.